The song lyrics deal with cannibalism brought on by jealousy (especially with the line,”Töte mich und iss mich ganz auf”. This means,”Kill me and eat me up completely”) and jealousy. The song is also in the movie “Wing Commander”. This song has never been played live. The song was never played on live. The video “Eifersucht Live Aus Berlin” is fake. It may sound strange but the repetition: “kill me and eat me up completely then eat me up completely but lick up the plate” explains everything VERY clearly about jealousy and the attitude of the speaker about this. And to be even more precise then the song itself, I would add that before the second eating the first digestion process should have come to end with an end result that can size a plate. “Bon appetit” to all the jealous people! Why? Lol… I think it’s an awesome song..
@Mmejia, Wiener Blut makes me angry. I want to tore Till’s psychotic head off his body everytime I hear it. I personally prefer wiener blut and wollt ihr das bett in flammen. The first has that psychotic story that you just love from rammstein and the second has an awesome beat.. I completely agree på Tasha. I just love that psychotic laugh. 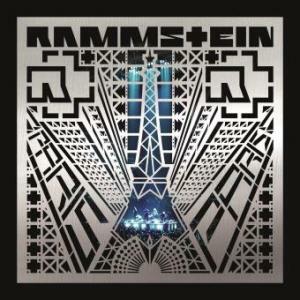 How is it possible to love exactly ALL of Rammsteins zillion songs? But you have to agree with me, Frühling in Paris und Mutter must be the best? But all of them are epic. Just HELL OF EPIC! I absolutely love his crazy laughter towards the end. It’s orgasmic. Why don’t they play this song live? !I love it!